Erbium laser skin resurfacing is an excellent solution for moderate to deep wrinkles, acne scars, hyperpigmentation, sun spots, and rosacea. While it used mostly used on the lips, eyes, chin, cheeks, forehead and neck, it can also be used on the hands. At The Breslow Center we use Sciton’s erbium laser resurfacing technology, which is widely recognized as the best skin resurfacing laser on the market due to its high ablation efficiency, shorter healing times, and outstanding results. Along with reducing the appearance of scars and wrinkles, erbium laser resurfacing also stimulates the body’s collagen production for up to six months, increasing the skin’s natural firmness and elasticity. Who is a Good Candidate for Erbium Laser Resurfacing? A good candidate for erbium laser resurfacing is a person with fair, non-oily skin and wrinkles around the cheeks, eyes and lips. People who are very dark-skinned, who’ve used the acne drug Accutane in the past, who are subject to keloids, or who have active acne or other skin conditions aren’t ideal candidates. Furthermore, women who are pregnant or breastfeeding should wait before they undergo erbium laser resurfacing. While on some cases it is possible to treat patients with herpes or bacterial infections of the skin, our doctors may suggest that retinoids, a skin medications derived from vitamin A or hydroquinone, be taken for about a month before undergoing erbium laser treatments. This will help uniformize the skin’s thickness, remove excess amounts of melanin, and lower the risk of complications such as uneven pigmentation. Patients with cold sores should take their medication 24 hours before the procedure and then continue with the medication for 7 to 10 days afterwards. 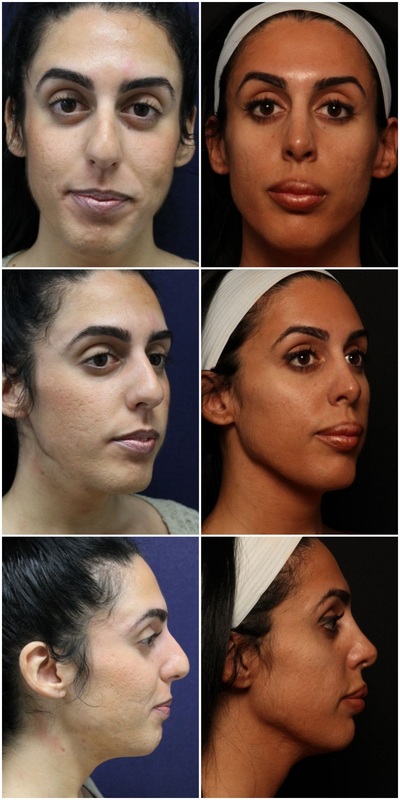 Before and after: Pro fractional Erbium laser resurfacing for texture and acne scarring, 3 yr result. 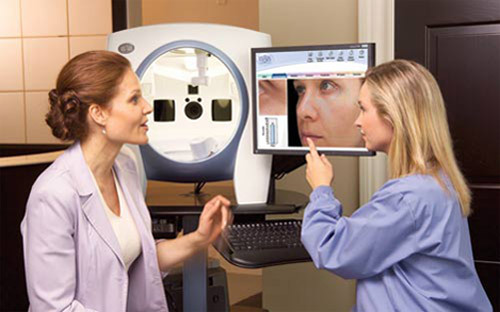 What Happens During Erbium Laser Resurfacing? The procedure is performed in the clinic using local anesthesia (topical or site injections) and generally takes no more than 30-60 minutes to complete, depending on the areas being treated. Although most patients experience only mild discomfort, sedatives can also be administered to ensure that you are fully comfortable throughout the procedure. Unlike CO2 lasers, erbium lasers only penetrate the top layers of the epidermis, removing one 30 millionth of an inch of skin with every pass. Working at a wavelength of 2940 nanometers, the erbium laser is drawn to water in the skin, which allows it to target and vaporize skin cells with great accuracy while minimizing excess heat and leaving surrounding tissue intact. 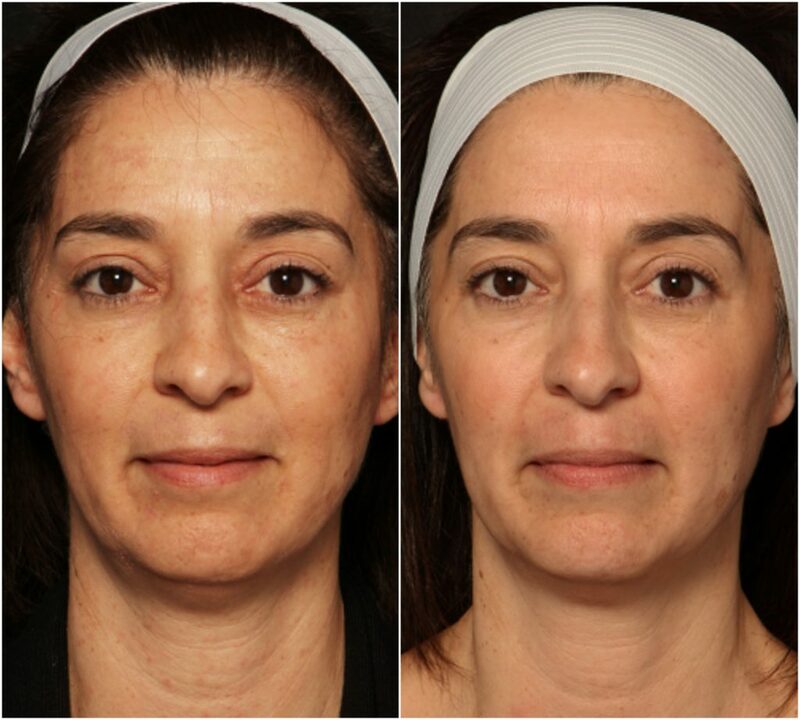 Before and after: Erbium laser skin resurfacing (full ablative MicroLaser tightening). Patient desired smoother, tighter skin and treatment of brown pigmented areas. The skin will appear red and swollen to varying degrees immediately following the treatment, and you may experience some pin-point bleeding. This is perfectly normal and indicates that the treatment has been performed successfully. You will wear a dressing to cover the areas treated for up to 2 days. Some patients choose to take a few days off from work after the procedure, or schedule it before a long weekend or over the holidays. Makeup can be used to cover the redness after the procedure. Our team will provide you with detailed skin care instructions to ensure that you are using the right products to expedite the healing process and make sure that you achieve the best possible results. It takes about a week to 10 days for new skin to develop. During that time the old skin dries out and begins to peel. After it has completely peeled, the areas treated may remain pink for several weeks. The patient should avoid direct sunlight during that period, wear hats outside, and use SPF 30+ sunscreen. Although it can take several months to fully appreciate the procedure’s effect on the appearance of wrinkles and blemishes, most patients agree that the results are definitely worth waiting for. Some wrinkles may reappear sooner than others, but the benefits are relatively long-lasting. The improvements to your skin’s quality and texture will make your complexion appear younger and fresher for many years to come. Interested in finding out more about laser skin resurfacing at our Paramus, New Jersey practice? Call The Breslow Center today at 201-444-9522 to schedule a complimentary skin consultation!